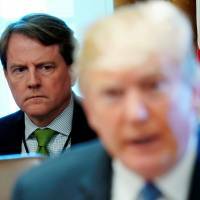 WASHINGTON - White House counsel Don McGahn, who has maintained a front row seat in Trump administration controversies and accomplishments, will be leaving in the fall after the expected Senate confirmation vote for Supreme Court nominee Brett Kavanaugh, President Donald Trump announced Wednesday. The departure of Trump’s top lawyer in the West Wing will create a vacancy in an office that has been closely involved in the conflict over special counsel Robert Mueller’s Russia investigation. McGahn’s exit also continues the churn of staffers as the administration sets records for turnover and the White House struggles to fill key vacancies. Unlike some less-amiable administration separations, Trump praised McGahn on Twitter, saying that he had “worked with Don for a long time and truly appreciate his service!” McGahn’s departure had been expected as the White House enters the fall elections and looks to win confirmation for Kavanaugh, the president’s second opportunity to place his imprint on the Supreme Court. But McGahn’s time has also been marked by tumult; he has been the main point of contact inside the White House for the Russia investigation led by Mueller. McGahn, who has met with investigators on at least three occasions for many hours at a time, threatened to resign last year if Trump continued to press for Mueller’s removal. 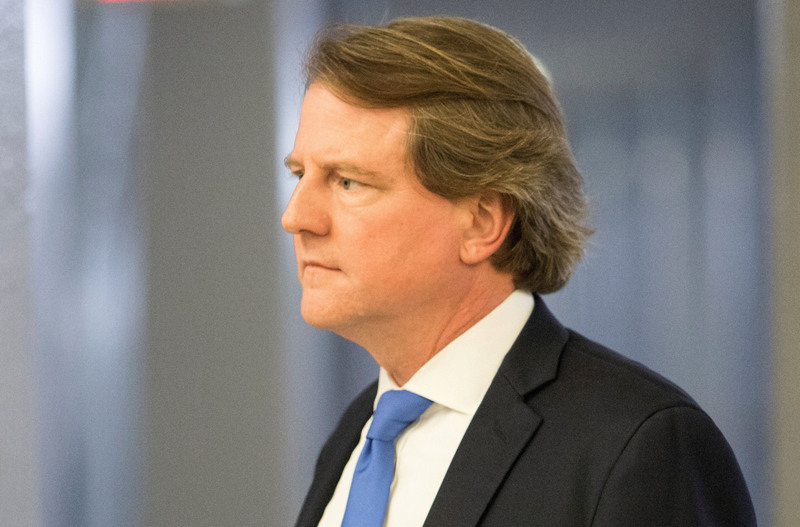 McGahn, a top election lawyer who served as general counsel on Trump’s campaign, has played a pivotal role in the president’s remaking of the federal judiciary with young, conservative judges. He also helped guide Trump’s selection of Supreme Court Justice Neil Gorsuch and the president’s nomination of Kavanaugh and helped oversee a dramatic rollback of Obama era regulations. Trump insisted at the time that his general counsel wasn’t a “RAT” and accused Mueller’s team of “looking for trouble.” He contrasted McGahn with John Dean, the White House counsel for President Richard Nixon during the Watergate scandal. Dean ultimately cooperated with prosecutors and helped bring down the Nixon presidency in 1974, though he served a prison term for obstruction of justice. Emmet Flood, who joined Trump’s White House in May as in-house counsel for the Mueller probe, has been considered a leading candidate to replace McGahn. McGahn, 50, has navigated many of the storms of the first 19 months of the Trump White House, figuring in the drama surrounding the firing of national security adviser Michael Flynn and Attorney General Jeff Sessions’ decision to recuse himself from the Russia case. McGahn was also among the White House officials who sounded an alarm when Sessions contemplated resigning as attorney general early in the administration. In “The Gatekeepers: How the White House Chiefs of Staff Define Every Presidency,” author Chris Whipple recounted then-White House chief of staff Reince Priebus receiving a visit from an upset McGahn in May 2017 after Sessions said he was resigning. White House officials persuaded Sessions not to resign even after the president berated him for recusing himself from the Russia probe, which led to the appointment of Mueller as special counsel. Trump has continued to apply public pressure on his attorney general, telling Fox News last week that Sessions never had control of the Justice Department and that the only reason he selected him was because he had been loyal on the campaign trail. 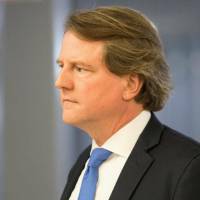 Before working at the White House, McGahn was a campaign finance attorney at Jones Day, a Washington law firm that has filled several top legal roles within the Trump administration. 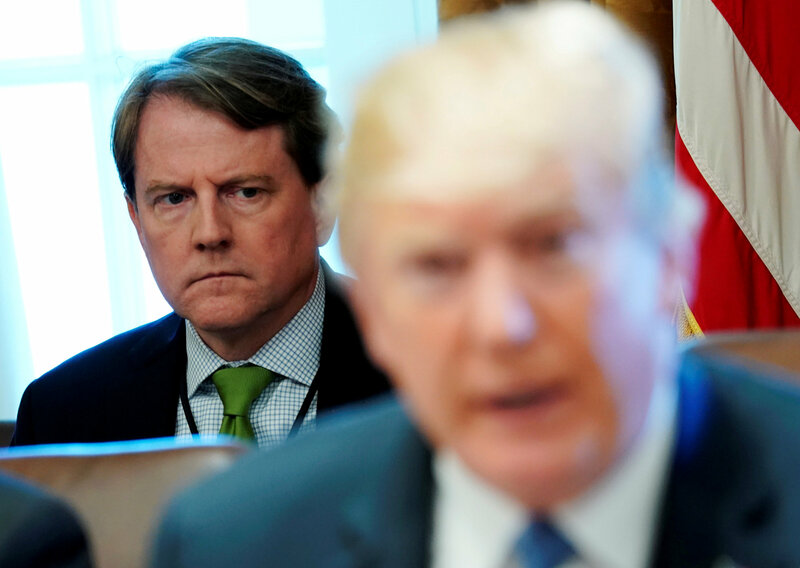 McGahn previously served as chairman of the Federal Election Commission and as a counsel to the National Republican Congressional Committee before joining Trump’s orbit as general counsel to the president’s 2016 campaign.